Stewart Dixon is Founder and Managing Partner of VentureDNA. An accomplished executive leader with a record of successes, Stewart manages the firm’s engagement portfolio as well as the day-to-day operations of the business. Prior to forming VentureDNA, Dixon drove sales in the media and technology industries for well-established brands including ABC News, The Chicago Tribune and Motorola. His proven ability to secure new business and penetrate domestic and foreign markets by identifying prospects and creating strong partnerships allowed these businesses to realize immediate growth and success. Stewart’s hands on experience managing growth companies: recruiting top management talent; defining and executing strategy and new business models; creating world class financial and operational infrastructure from the ground up; while leading and developing people, fuels his passion everyday. Dixon is skilled in directing cross-functional teams while providing quality services to clients in time-sensitive environments. Dixon also spent 10 years in Los Angeles developing new technology methodologies for the entertainment industry with Capitol Records and Apple Computer, today Apple, Inc. This experience allowed him to serve on the technology leadership boards at the American Film Institute and the Academy of Television Arts and Sciences. Stewart is a graduate of Ithaca College with a Bachelor of Science degree from the Roy H. Park School of Communications. Carter brings more than 20 years of business banking experience. Serving as partner with Wall Street icons, public utilities, mobile operators, and retailers, to accelerate growth and expand geographical footprints, Carter is recognized as a trusted advisor to CEOs, by building financial analyses and strategies needed to create solid revenue models that last. 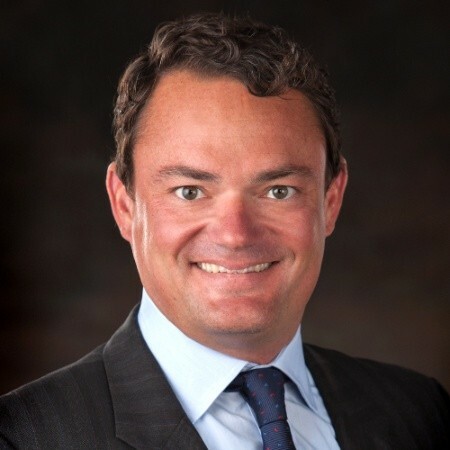 Recently, Carter served as Partner and CFO of Gee Holdings, a Chicago based boutique private equity group and backed holding company with a portfolio of companies across the mobility spectrum. Reporting to the CEO, Carter developed M&A strategies; sourced and vetted potential acquisitions; and led financial operations of five portfolio companies, including accounting, audit, reporting, HR, negotiations, and investor relations. Additionally, he served as the CFO for MobileLife, Inc. and Boinc. Prior to Gee, Carter was Director of Finance at Invenergy, assuming responsibility for the origination, negotiation, and structure of debt/equity investments between $25M and $300M; targeted and developed strategy; and executed growth opportunities. In 7 years, Invenergy grew to become North America’s largest privately owned, owner/operator of renewable generation. Today, Carter serves as Board Director of BioMech, a VentureDNA portfolio company. In 2002, Carter earned his MBA degree in Finance and Strategy from Kellogg School of Management and Bachelor of Arts in Philosophy from Vanderbilt University. Carter’s understanding of the appropriate intersection between personal relationships, investment philosophies and corporate interests is invaluable. His extensive experience and contacts, combined with those of VentureDNA, create a solid platform to position companies throughout the Midwest and East Coast for growth and success. 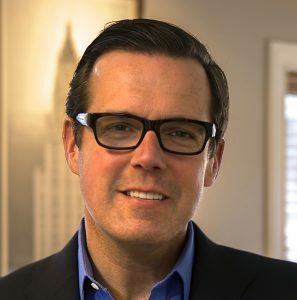 Greg Dennerlein, just recently joined VentureDNA as Managing Director. In addition to his role with the firm, Greg has 30 years of diverse financial market experience having held positions in portfolio management, over-the-counter derivatives, sales and trading, and alternative investments. Currently as an independent Financial Advisor managing several portfolios, Greg previously was Senior Vice President with HSBC Private Wealth Management, prior to this role he served as a VP and Director for several banking institutions including Citibank, Northern Trust, and JP Morgan. In his current role he assists his clients in sourcing alternative investments, such as, direct deals in real estate, venture capital, private equity, fixed income, credit and equity derivatives. His clients range from Fortune 500 pensions, university endowments to family offices and high-net worth individuals. Greg’s understanding of the appropriate intersection between personal relationships, investment philosophies and corporate interests is invaluable. His extensive experience and contacts, combined with those of VentureDNA, create a solid platform to position companies throughout the Upper Midwest and East Coast. Greg has a degree in finance from Bowling Green State University. He currently holds Series 7 and 66 licenses and is a Fiduciary. A lifelong Chicagoan, Reese Marcusson most recently held leadership positions at Window to the World Communications, Inc. (WWCI), the nonprofit parent company of WTTW Channel 11, Chicago’s public TV station, and 98.7WFMT, Chicago’s classical music station. 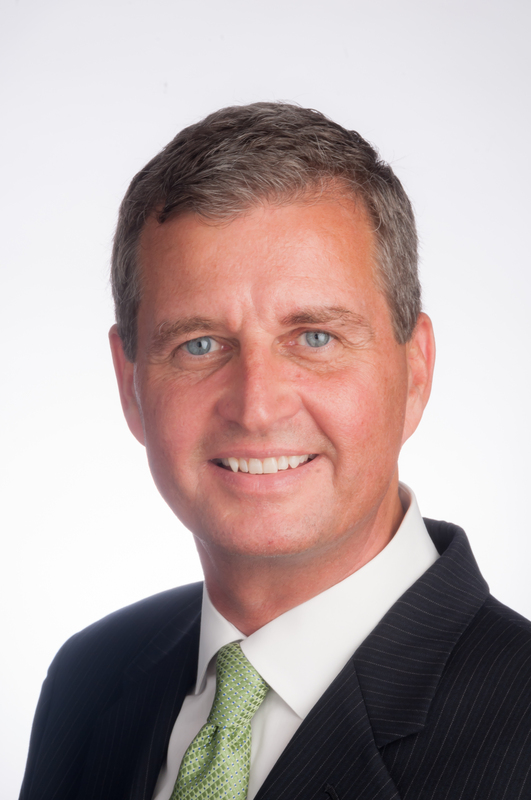 His recent WWCI roles were Chief Operating Officer & CFO, and Acting CEO. At the PBS member station Reese managed operations, sales, technology, HR, strategy and finance. He joins the VentureDNA Team as Managing Director, providing guidance and management oversight on several current projects. He knows results and numbers are important and delivers both. Reese enjoys working collaboratively on business challenges while mentoring and teaching others the skills required to solve a variety of problems. 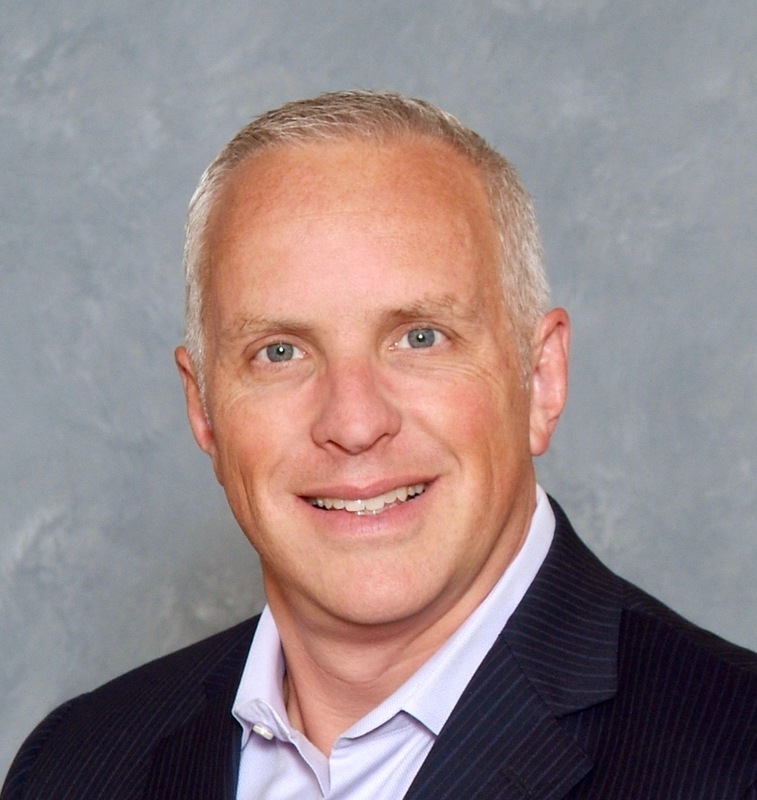 Reese is a CPA, received his Bachelor of Science in Accountancy degree from DePaul University, and worked at Big Four accounting firm KPMG for 10 years, leading the audits of large public companies, privately held businesses and school districts. His respect for education, and the positive impact it had on his life, motivated Reese to seek election to the Lake Forest High School Board, of which he currently serves as President. Additionally, Reese is a Member of the Dean’s Advisory Council at DePaul University College of Communication. His extensive experience and business contacts, combined with those of VentureDNA, create a solid platform to help position businesses for the next stage of growth and success. 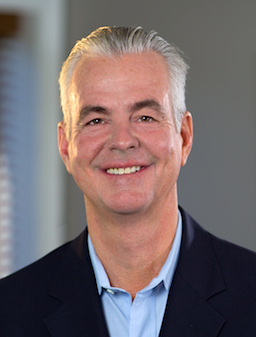 Craig R. McWilliams, recently joined VentureDNA as Managing Director. 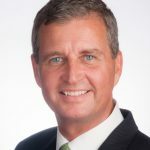 Craig has 30 years of business experience spanning different roles that include technical, business development, human resources, and management. 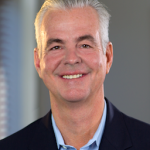 Craig has extensive entrepreneurial experience in science, technology, logistics, and finance. 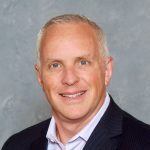 Versatile, highly effective, and cross-functional, Craig has worked in a Global 500 logistics corporation, a US National Laboratory and owned or participated in several successful startups achieving multi-million dollar revenues and valuations. Craig’s understanding of the appropriate intersection between personal relationships, investment philosophies and corporate interests is invaluable. His extensive experience and contacts, combined with those of VentureDNA, create a solid platform to position young companies throughout the Midwest and West Coast for growth and success. Craig has a B. A. from Northwestern University in Biochemistry and Molecular Biology and a PhD. (abd) from Loyola University in Pharmacology. He holds Life and Health insurance licenses as well as Series 63, 65, and 7 licenses and is a Fiduciary. Mark Hahs is co-Founder and Managing Partner of VentureDNA. He leads our team of Los Angeles based professionals who provide facets of outsourced marketing, technology and business development related services, including research, analysis, planning, web development, web design, branding, marketing collateral development, event management, systems integration and business consulting solutions for business-to-business, business-to-consumer and business-to-enterprise applications. Millions of users, viewers, and attendees from around the globe have responded to and been touched by marketing programs and business systems deployed for his clients. A big believer in maintaining an “entrepreneurial approach” to every engagement, Mark supports the methodology of implementing integrated business and marketing solutions that use a simple set of consistently executed strategies, programs, technology and media to get results. Mark has worked with a diverse range of organizations, including small business start-ups, large corporations, private sector, non-profits, government agencies and advertising agencies where he was responsible for business development, client management and finance. Clients have included NFL, NBC 2004 Olympics, Motorola, Agilent Technologies, S.C.O.R.E., Microsoft, Chicago Tribune, Warner Brothers, Coca-Cola, Billabong, Takeda Pharmaceuticals, United States Mint, Sony Columbia-Tristar, Interscope Records, MCA, Sungard Treasury Systems, AAA, Oral-B and Grey Advertising. Mark played baseball at Biola University garnering freshman of the year honors as a pitcher while studying for a degree in Mathematics with a minor in Business. He enjoys long runs, road biking and ocean swimming – better known as triathlon training – and occasionally skateboarding with his four children in sunny Southern California. 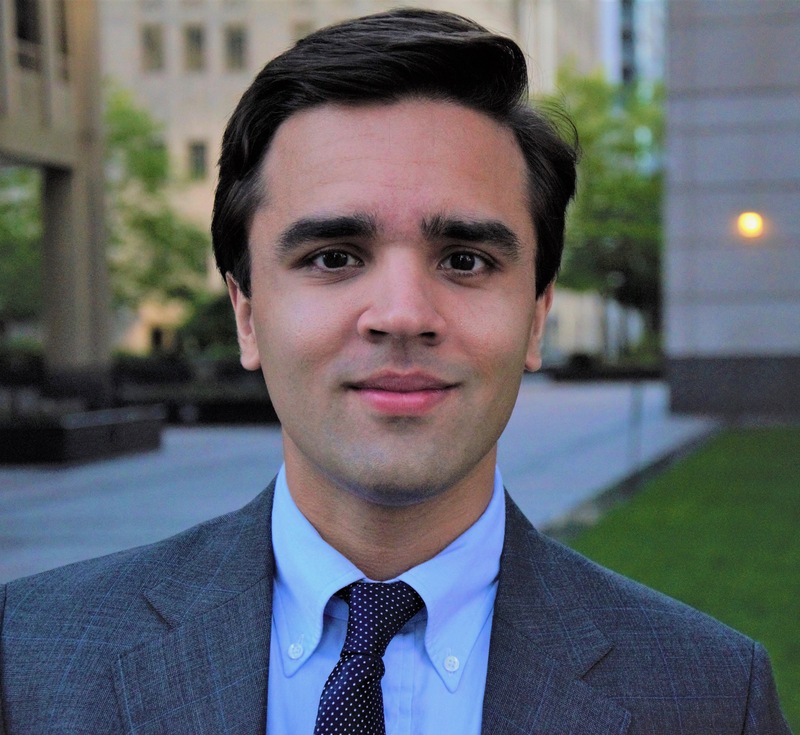 We welcome Nick Srivastava to VentureDNA as the Winter 2019 Associate. 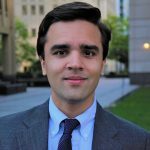 A 2016 graduate from University College London with Class Honors, Nick’s work spans different roles that include technical and business development experience, as well as solid business research and analysis skills. In today’s complex business environment, an organization’s adaptability, agility, and ability to manage constant change through innovation can be keys to success. Nick’s experience as a young business technician is a tremendous benefit on any project, especially in today’s ever changing business world. Nick’s understanding of the intersection between personal relationships, business philosophies and corporate interests is extremely valuable. His prior corporate work, medical research and business contacts, combined with those of VentureDNA, creates tremendous opportunity to help position young companies throughout the Midwest and West Coast. His passion for Polo, earned him the spot on the 6 player team selected to compete in the international tournament at the Tianjin Goldin Metropolitan Polo Club. Nick also participated in local outreach and education to foster a new generation of Chinese polo players and equestrians throughout the upper Midwest. Nick also is a long distant cyclist and avid fly fisherman. Nick attended Illinois Math and Science Academy (IMSA) and then received a B. A. from University College in London in History. Since 1836, UCL is one of the two founding colleges of the University of London, and is the third oldest in London. A software technology developer at the University of Illinois, specializing in machine learning, semantic analysis, and collaborative filtering. Mr. Volkow has worked for the Defense Advanced Research Projects Agency (DARPA) and is currently a consultant to the Office of the Director of National Intelligence (ODNI), and a two time Participant in its Summer Hard Problem program. In 1999 Stuart became an Executive Producer and VP of Internet Operations for the 5th Avenue Channel out of Miami, FL. The NASDAQ Company broadcast lifestyle programming and personal financial news on Comcast and the Dish Network to 14 million homes. He Produced STOCK TALK CENTRAL, BUSINESS TODAY and INSIDE HEALTH. While at 5AC he launched and managed one of the first television operations to simulcast live over the Internet and offer searchable, on-demand video archives. 5AC’s personal financial news, became one of the first broadband channels on MSN. Since 1993 Mr. Volkow has been teaching in the University of California system at the Anderson Graduate School of Management through UCLA Extension’s Department of Film and TV. He has taught over 30 courses on digital media and production and delivered hundreds of lectures. He has been a contributing Editor for Videography Magazine, and CMS Newsline, covering technology trends. He has?taught courses on media strategy in South Korea for the Ministry of Digital Information Promotion and to groups of Korean and Chinese business executives at UCLA. Mr. Volkow has a degree in Physiology from Southern Illinois University. He was a graduate assistant in Biomedical Engineering at the University of Akron in Ohio and a Clinical Research Associate focusing on acute and chronic pain and stress disease. He is a graduate of the American Film Institute’s Center for Advanced Film and Television Studies Producing Program. He studies Yoga and Martial Arts, and is a communications specialist for CA-9 Disaster Medical Assistance Team. His amateur radio call sign is KG6YYJ. 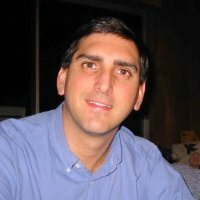 Steve Klinenberg is Senior Consultant and an experienced mobile development veteran with over 20 years of web and mobile services experience. 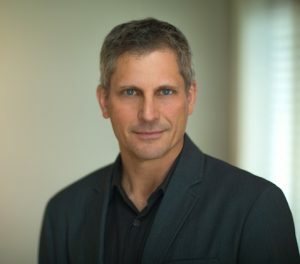 Prior to joining VentureDNA, Klinenberg spent the last 12 years as Senior VP, Technology & Operations for Digital Agency 1K Studios in Burbank, CA. While at 1K, Klinenberg launched of 1K’s Web & Mobile division, which developed innovative mobile and web applications for clients including Warner Bros., Fox, Mad Magazine and Disney Imagineering. Prior to joining 1K, Klinenberg headed the development of the new data mining SaaS provider at Internet incubator eCompanies. There he led the engineering effort to develop a cloud based analytic tool. Klinenberg also served as Vice President, Operations, and General Manager for publicly traded Internet services company, Rare Medium Inc. Before joining Rare Medium, Klinenberg served as Vice President and General Manager for DigitalFacades, a regional web services firm that merged with Rare Medium in 1998. Klinenberg started his career on the interactive task force at TBWA Chiat/Day in Venice, Calif. There, he developed interactive media strategies for clients including Nissan, Home Savings of America and Energizer. Klinenberg earned his MBA from UCLA’s Anderson School of Business and his BA in Political Science from Brown University. Karen Schmid steers the creation and execution of VentureDNA’s customer acquisition strategies and manages our new major accounts as Vice President of Global Operations. With a multidimensional, 24-year career track that spans marketing, sales, investing, customer service, and operations, Karen brings a customer-centric approach, an innate market sense, and unparalleled technical aptitude to VentureDNA. Karen studied Business Management at Palm Beach State College before beginning her career with Sam’s Club as Director of Telemarketing. However, she could not deny her sales calling and, as a third-generation realtor, has garnered countless honors such as Vice President’s Club and Outstanding Agent Awards. Her dedication to providing the highest level of customer service and meeting specific client needs has merited her a highly successful career in even the toughest markets and economies. Her real estate projects and activities the last three years has focused primarily in the Chicago and Miami markets. Karen uniquely combines her proven sales capabilities with a fervor for technology, as seen in her licensure as an IFR-rated private pilot. In the last several years, she has seen the rapid innovation of digital mapping technology for in-flight navigational reference as well as for aerial mapping in her real estate work; Karen’s experience with this latest technology is a perfect balance for the VentureDNA sales process. When not in the air, Karen enjoys spending time with her three sons, traveling, and demonstrating her competitive spirit on the tennis court. She is also passionate about contributing her talents to many community organizations.